Purchase any Mutant Mass & receive a free Mutant Shaker. Mutant Mass is the ultimate lean gainer you've been waiting for, a serious formula, designed with only hard working athletes in mind, who demand power, absolute size and all out strength. If you are serious about gaining slabs of lean muscle mass, faster than ever, then Mutant Mass is the answer. One Amazing Formula: 1050 Lean Calories per Serving. 18 Grams of fat, featuring LipoTherm(TM) with MCT Oil, the "fat burning" fat. Mutant Mass was developed over 2 years of research and is based on sound, proven science. More importantly though, the finished Mutant Mass formula was also tested in the gym, where it was put through its paces by real life bodybuilders and strength athletes. The results? If you add just 1 serving of Mutant Mass per day to your routine, you can add up to 5lbs of fat free muscle in just the next 14 days, increase your bench press by 10-20lbs and boost your chest size by 2.5 centimeters (1"). That's not rocket science - that's just Mutant Mass doing its' amazing job. Mutant Mass is all about gaining rock hard muscle - and LOTS of it. Building muscle requires the right protein mix to EXPAND the muscle tissue and repair it fast. The protein must also be spared from being wasted for the body's energy needs, while the muscle also requires massive infusions of clean calories to replace glycogen used up during training. Digestion, absorption, triggering calorie uptake and manipulating protein sequencing - the Mutant Mass formula takes all that into account and hits a home run like nothing else you've ever tried. 92% of all weight trainers never gain the mass they want. Mutant Mass was designed specifically to address this one, solitary need - pure added mass. The formula is light years ahead of what is currently available in weight gainers. OTHER gainers are mostly high sugar and high lactose simple blends of sugar and cheaper milk or whey proteins - Mutant Mass went all out to create the ultimate weight gainer. The 10 superior proteins deliver a vast cross spectrum of amino acids for triggering MORE muscle uptake. This trademarked blend is designed to "push" more usable protein into the muscle and showers your muscles with a continuous flow of free form, di, tri and oligo peptide amino acids from protein. 92% of those trying to gain lean mass who are having trouble, usually cannot gain muscle because they're using the wrong proteins. ISO-STACK10 is perfect, but when blended with the specific carbs and lipothermic fats in Mutant Mass, the protein is directed to its primary job - building pure muscle. I know protein builds muscle – so why do I need carbs and fats? Muscle tissue is almost all protein. But when you are training hard and trying to add slabs of strong, sinewy muscle, you have to make sure the protein ACTUALLY gets to the muscle. For that majority of people having problems putting on mass, valuable protein is being wasted and used up for energy BEFORE it can even get to the muscles. To fuel your body's energy demands, you need adequate sources of real fuel – carbs. 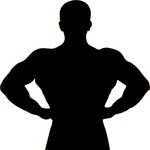 Mutant Mass' 3:1 carb to protein ratio delivers the optimal ratio for building hard muscles fast. Your body gets the fuel (carbs) it needs for energy, while allowing the protein to get delivered to the muscles fully intact. And by using the ISO-STACK10 blend of 10 superior timed release proteins, you're delivering a timed release total gainer matrix; carbs first for energy and protein right afterwards for pure muscle building. You will feel the difference Mutant Mass delivers. What about the carbs in Mutant Mass - what is Vextrago(TM)? This is a new, higher molecular weight (mW) sugar free carbohydrate from a newly developed strain of barley starch. It's designed specifically for athletic use to pump up muscle glycogen stores in record time, sugar free, while also doing it without stomach disruption nor unnecessarily dehydrating athletes by pulling water into the gut. Vextrago is beyond what other high mW carbs have been before. In fact new Vextrago has a molecular weight that is 71% higher than anything else in sports nutrition before it. Scientific research shows that higher mW carbs absorb faster (up to 80% faster) and thus help replenish muscle glycogen faster (up to 70% faster). Vextrago(TM) is unique in that it absorbs even faster than sugar, but does not adversely spike blood sugar levels, so it keeps your gains lean. In the battle for size, timing is everything, so the faster your muscles take in their needed carbs after training, the faster muscles will grow. Imagine - all the carbo loading your muscles can handle, without all the sugar. Lipotherm puts this whole formula into a league of its own. This is a superior quality blend of the top ‘lean fats' athletes use to augment size, power and strength, without adding fat to their waistlines. MCT OIL - Long used to burn bodyfat, increase thyroid output and used by dieting bodybuilders to ensure they look as ripped and shredded as possible, while keeping muscle intact. CLA - This oil is used in dieting and has been scientifically proven to augment muscle size while decreasing body fat simultaneously. FLAX & BORAGE OIL - The dominant sources of EFAs (essential fatty acids), the healthy fats our bodies cannot produce on their own and thus need to be obtained from our diets. EFAs help improve our intensity, joint health, muscle mass and dominate many other health issues. EFAs are also important for heart health. EFAs also help provide good joint mobility by assisting the body's production of vital eicosanoids. How good is Mutant Mass? Works as intended. Using a combination of products, went from 73kgs to 84kg in bulking phase. Ordered this yesterday afternoon, Monday, just before 2pm. I live in a rural area of nsw and this product made it too me before 2pm today, Tuesday. Tastes great, works well, don't have any bloating as I get with some other mass gainers. Super fast shipping and cheaper than buying in store. One of the best mass gainers ever. Heap of calories, mixes well, tastes good and helped me put on a stack of bulk. Good value for money too. PVL Mutant Mass rocks I've gone through three 6.8kg bags and just ordered another one as far as mass gainers go this is the monster!! All my friends give me crap about it because its called mutant mass its kinda funny, mixes great with water, if you like to eat your shake use milk its so thick..... I cant see myself using any other hard gainer then this! NICE WORK PVL!! This was my first weight gainer & I found that PVL Mutant Mass did not increase my weight….. but my measurements did increase by a good amount. So it could be I’ve added muscle whilst reducing body fat. Mutant Mass did taste good & mixed easy. I recently bought my second bag of PVL Mutant Mass from the Mr Supplement website. I've tried many weight gainers without gaining any weight whatsoever and I honestly didn't expect any weight gains from this. Well I literally could not believe it when I jumped on the scales and gained 4.5kg in a little over 3 weeks. I also had lost some fat around my stomach and broken my bench press plateau which was long standing. Just to top it off it tastes great and mixes well (no blender needed) I would recommend this to anyone wishing to gain size and strength. The best weight gainer I have ever tried. I recommend only doing 2 scoops at a time. Try to split it up with 40 minutes between servings. This has helped me add 5 and a half Kg’s of lean muscle in 7 weeks, and reach new lifting goals as a result. I’d recommend this to others or sure! Hi I’m Daniel from Adelaide. In the last 12 months I have purchased a 2.2kg and a 6.8kg bag of PVL Mutant Mass. I've always worked hard in the gym but have also been blessed with a extremely fast metabolism which most of you know can get pretty annoying when you just aren’t putting on bulk or weight. This is where Mutant Mass really helped me. I actually gained approximately 12kg in one year. I went from 72kg to 84kg in about 12 months. That is proof that this stuff works!! I also think that it has increased my appetite and I'm eating more. I'm definitely not fat, just finally was able to get some bulk onto my frame which I work hard to cut up. Thankyou Mutant Mass & Mr.Supplement. Although I have not seen any great increase in my weight, I have not lost any muscle or body mass whilst taking Mutant Mass for the last 3 weeks. This has been great as I have been able to increase my cardio workouts to burn fat without dropping the kilos I want to hold on to. It tastes great and for an extra healthy calorie boost I mix 2 scoops with lite soy milk due to the recommended 4 scoops being overkill and is like drinking porridge. Is this supplement suitable for hard gainers? Yes, this supplement is suitable for hard gainers. Sorry we don't match prices. Check out our specials section, facebook, twitter and forum for special offers. Waxy Maze(Corn) Starch, Maltodextrin, Fructose, Dextrose, Corn Solids, Whey Protein Concentrate & Protein Matrix (Whey protein concentrates, Micellar Casein, Milk Protein Concentrates, Calcium Caseinate, Egg White Albumen Protein, Whey Protein Isolate, Milk Protein Isolate, Whey Protein Hydrolysate), Defatted Soybean (Fibre Source), Cocoa, Fractionated Coconut Oil (Supplies Mcts (Medium Chain Triglycerides)], Waxy Barley Starch, corn Syrup Solids, Flax Seed Powder, Glutamine Peptides [From Wheat}, Sodium Caseinate, Milk Fate Solids, Guar Gum, Vanillin, Inulin [Fibre Source from Chicory], Powdered Sunflower Seed Oil [Supplies CLA], Colostrum, Inositol, Cinnamon Extract, Sucralose (52 MG/260g), Mono & Diglycerides, Dipotassium Phosphate, Potassium Citrate, Soya Lecithin. This product contains ingredients from Milk, Wheat, Soy, Corn, Flax, Coconut, Sunflower Seeds, Cinnamon and Egg. Made on machinery that also handles powder ingredients derived from and/or that contain Peanuts, Tree Nuts, Seeds, and Sulfites. Shake or mix the contents (260g) of Mutant Mass® with 480-960ml of water or milk.